Tucked away in the sleepy village of Pointe-aux-Piments at the north western coast of the Mauritius island. The hotel is extremely chic and modern. 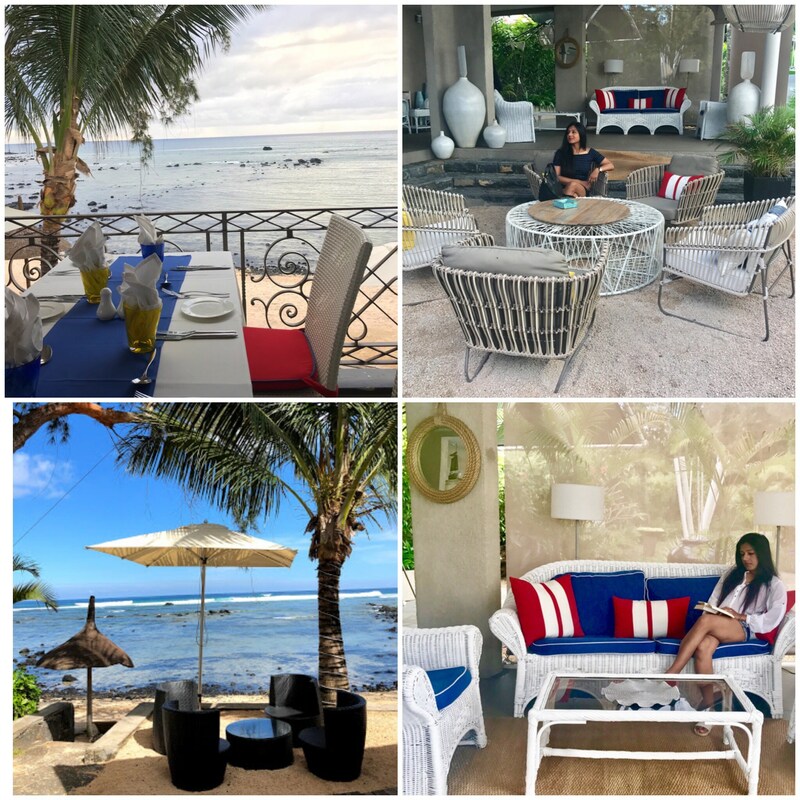 I instantly fell in love with the White, Blue, Yellow theme of the hotel which exudes summery vibes, asking you to do nothing but chill at the beach, burrow your toes in the sand and soak in the sunshine with your favourite drink while admiring the vastness and mystery of the ocean! 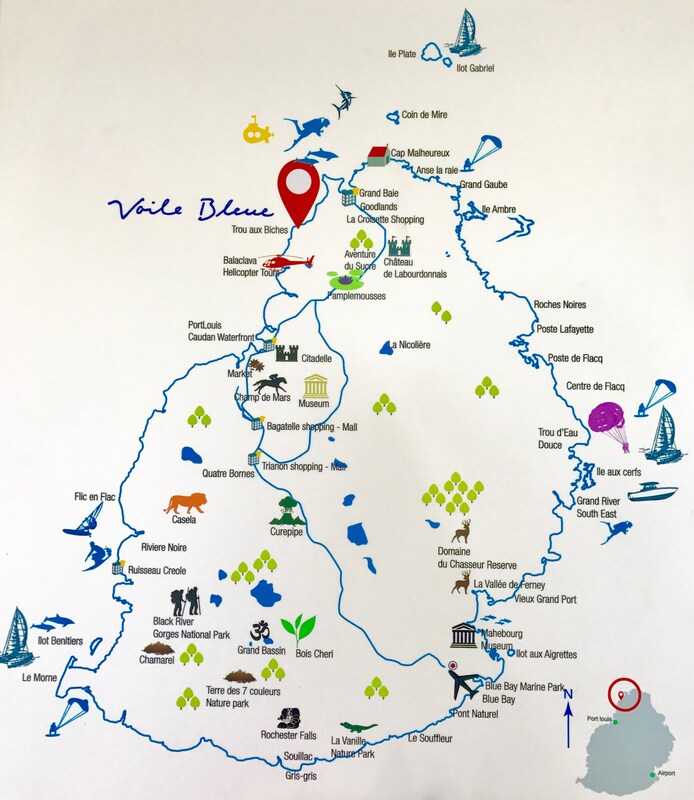 It’s about 60km from the airport and just 10 minute drive from the lively northern hub of Grand Baie. It’s a perfect place to be if you want to stay away from the crowd yet want party places to be nearby. We had rented a car at the airport so drove down to our hotel after passing various small villages located at the junctions of the highway, sugarcane fields and gorgeous palm trees. Upon reaching we were greeted with cheerful smiles and were escorted to our room post checking in formalities. They served us refreshingly delicious lemongrass iced tea which upped our already so high vacation feels! The hotel consists of 22 luxe studios, Each suite is equipped with a kitchenette and a private balcony to enjoy the quality time with your partner or all by yourself. I was too smitten by the colour combination and the beauty of the place. The room has all the amenities like A.C, flatscreen TV, fan, desk, telephone and cupboard. The bathroom is quite spacious and is equipped with rain shower, hair dryer, shampoo and body wash. The cute kitchenette has a refrigerator, tea/coffee maker, microwave, chimney, dishes, crockery and cutlery. You’ve an option to get stuff from the market and cook yourself a delicious meal. That’s my way of ending a day on a dreamy and happy note after all the outdoor activities throughout the day. Who wouldn’t want to sit in the balcony overlooking the ocean and have scrumptious home cooked food! This definitely took my beach vacation to a whole new level. There’s something so calming and therapeutic about this whole thing! 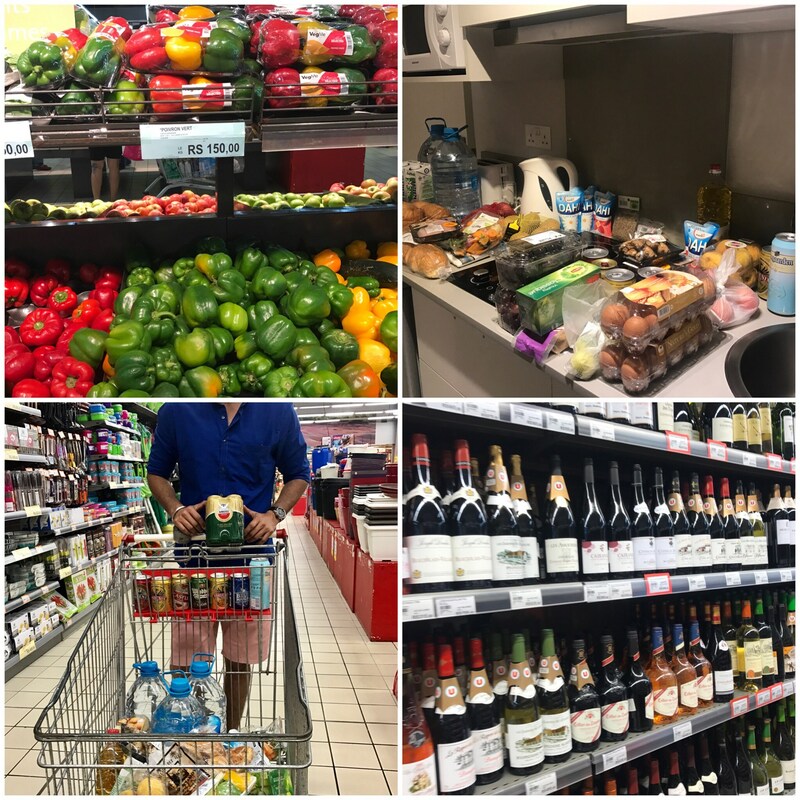 I love living like locals so we went to a supermarket and stocked ourselves well to have fun for rest of the days. And we shopped like crazy; it seemed as if we were going to stay there forever! We didn’t leave any opportunity to enjoy a few refreshing laps in the cool waters of the stunning infinity swimming pool. How I loved my early morning and late evening dips! It used to be slightly chilly but oh-so -heavenly. And there’s something strangely meditative about pensively gazing at the horizon beyond. Isn’t it? How awesome it is to be with uninterrupted thoughts and entirely in the moment completely oblivious of the world. They’ve a beautiful restaurant “Le Skipper” overlooking the lagoon serving lip smacking delicacies. 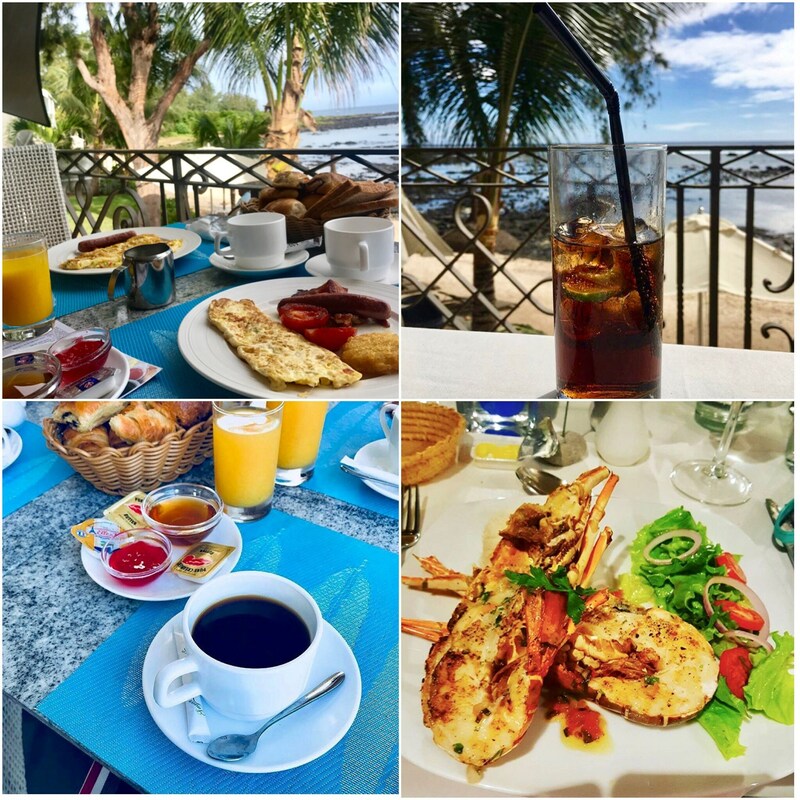 The restaurant serves amazing continental and English breakfast from 7:30 am to 10 am. They don’t serve breakfast buffet but that’s perfectly fine as long as I’m getting to bask in that breathtaking scenery! They’ve in-house bar offering delicious cocktails and quick snacks while you enjoy the panoramic views. 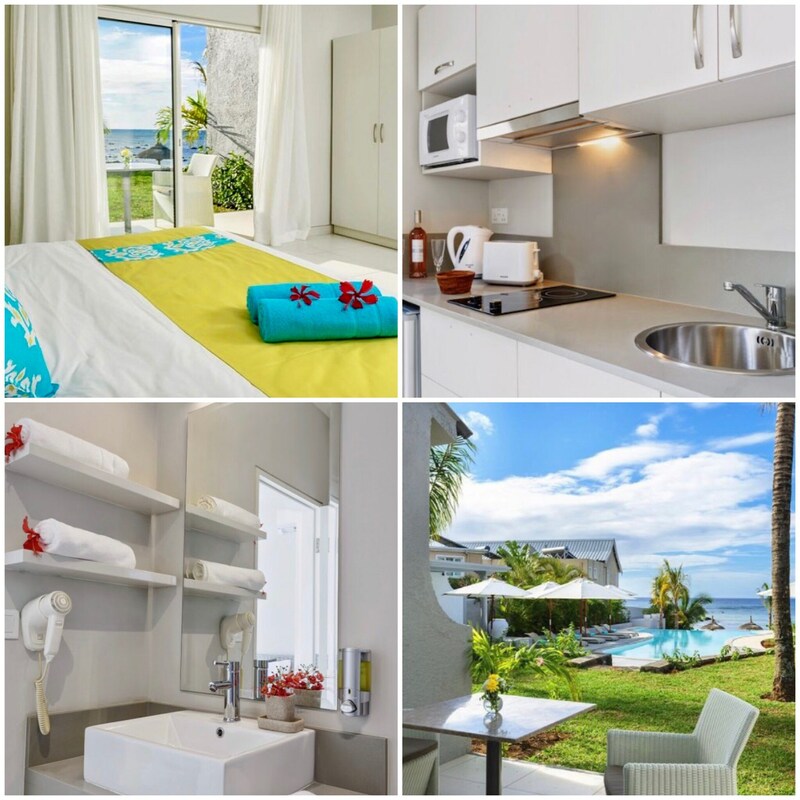 The hotel’s location and proximity to other places gives it an edge over other staying options around and it offers you much more for your money than the other hotels at Point-Aux-Piments , Mauritius. 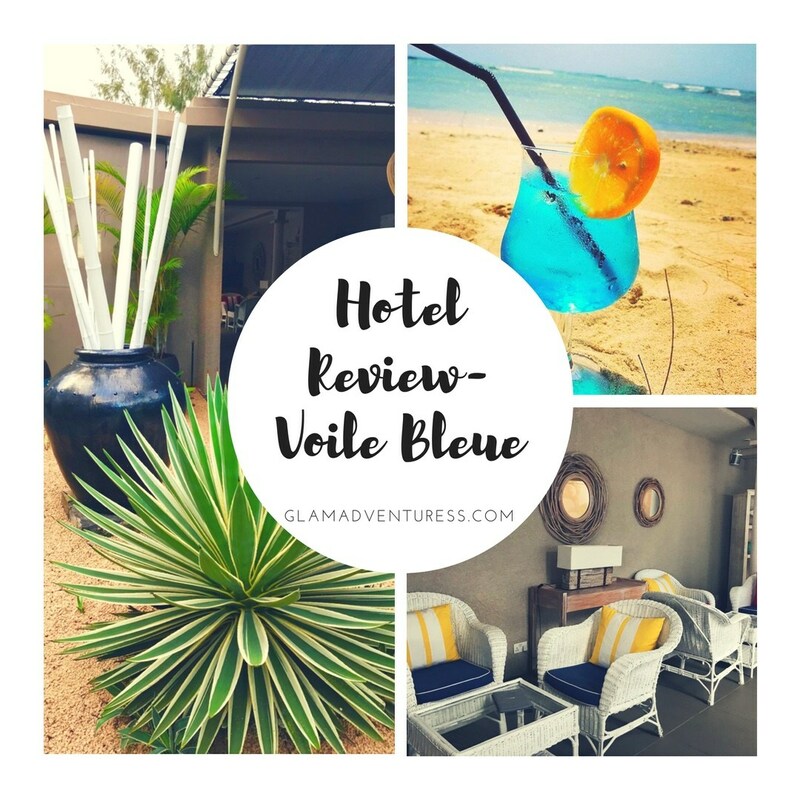 We really had a great time at Voile Bleue and would recommend to anyone who’s looking for forever fresh and soothing ambience, stunning seascape, serenity, summery vibe, free spirited aura and an unforgettable experience. Do let me know if you’re planning to go to Mauritius. Have you ever tried kitchenette in the suite? Please feel free to ask any related query in the comment section or drop me an email. The hotel looks pretty, luxurious and well organised. I love the food. Gorgeous hotel, we haven’t visited Mauritius, but we are adding it to our bucketlist. That is so good that you did have a good experience overall. Lemongrass iced tea is such a refreshing start. 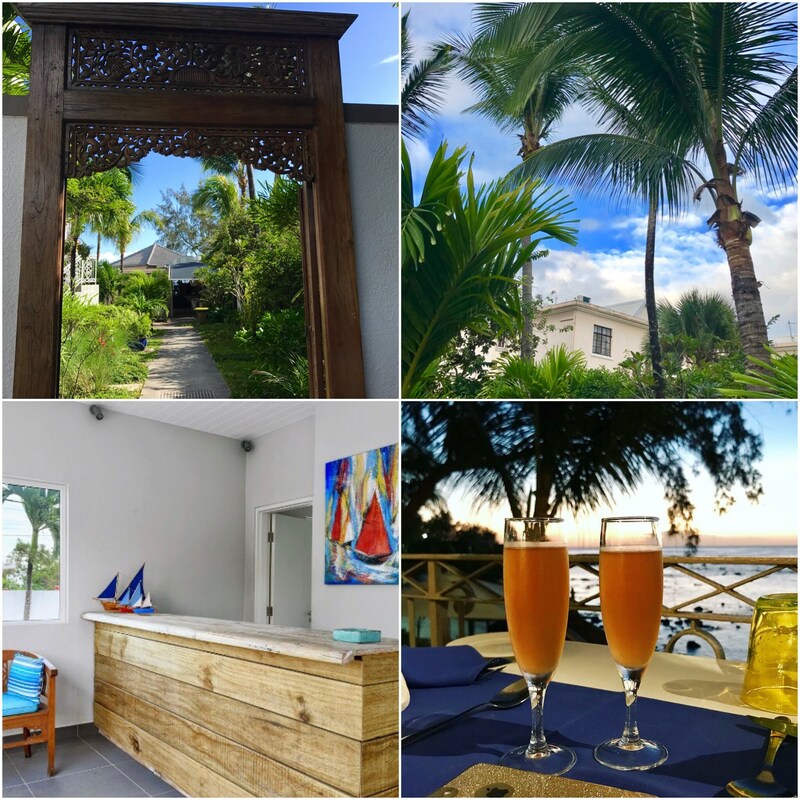 The place seems to have it all such as amazing hospitality, food, views.. Not been to Mauritius but when we do, this could be a good property to explore. 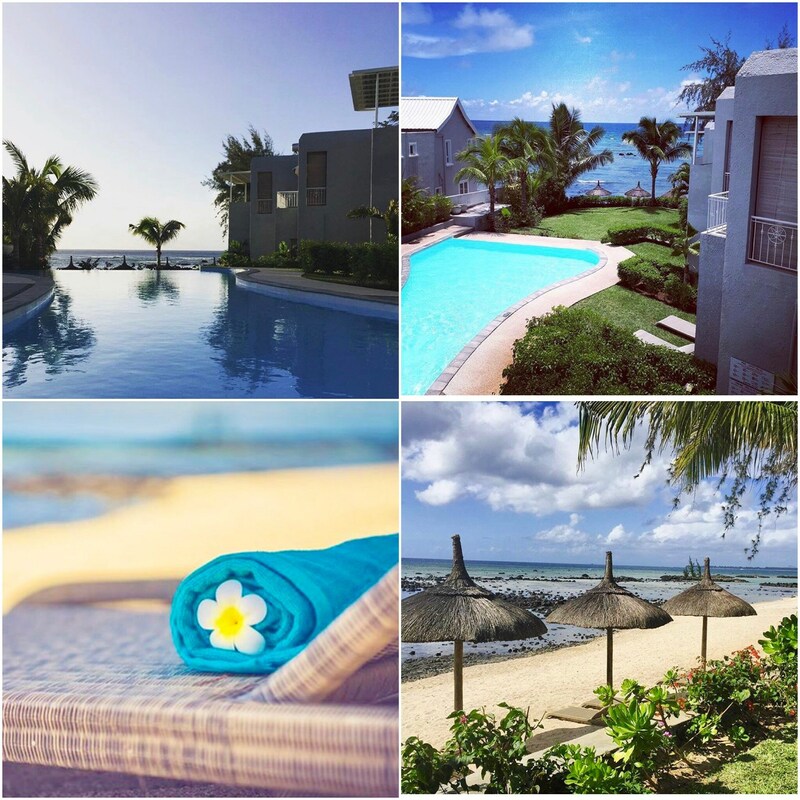 As your review suggest and as I see in pics, this is certainly a great location to stay in Mauritius. 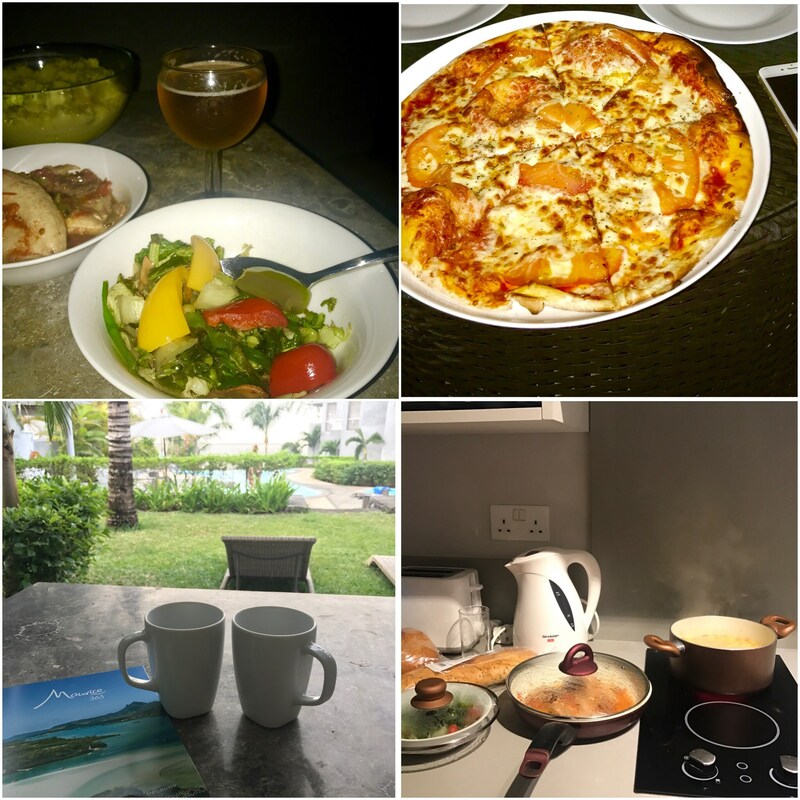 The food looks incredible, but it’s really nice that the kitchenette is included for those who love to cook, want to save money, or have a lazy day where they don’t want to leave their room. Beautiful hotel. Given a chance I would love to visit that place someday. Thanks for sharing. This place is perfect for vacation! How I wish I have an opportunity to visit Mauritius! I love the place! Never been there but the hotel looks luxurious. This is the paradise that I am dreaming of! I love that view. And, oh my, is that lobster as one of the dishes? I am in love! Wow! This is now on my list of places to visit. I can’t imagine paradise being more perfect than this. What a cozy and nice hotel! I need to visit this place someday. Oh makes me wanna go to the beach this moment! Love the review and beautiful pics there! wow that view is amazing! I wish I was there now. I need a vacation asap. Thanks for your unbiased review. It really helps. !